...except that it is a pretty mediocre and incompetently edited movie. The central story of Boone (Craig Sheffer) and his star-crossed romance with Lori (Anne Bobby) gets short shrift, which isn't a problem because it's the dullest part of the movie. But it is an issue because it also happens to be the movie's spine. 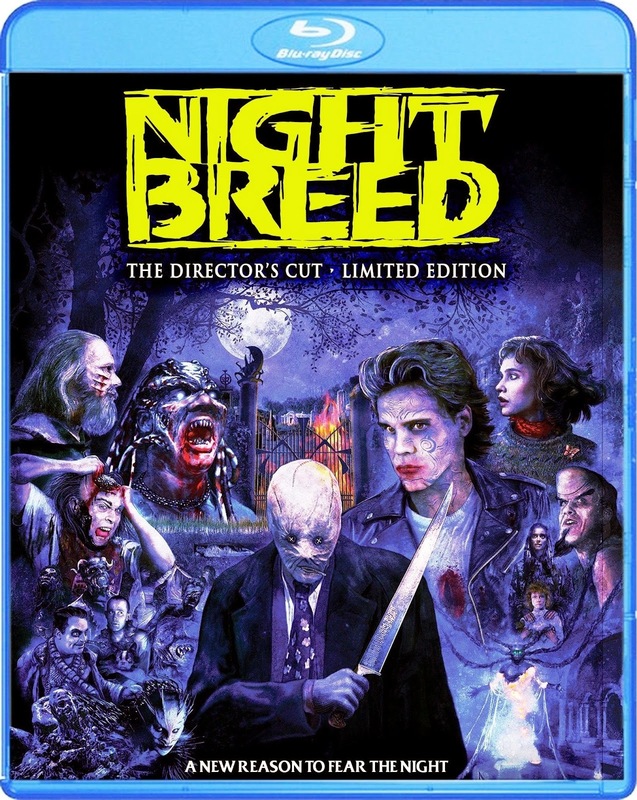 Scream Factory recently released the restored "Cabal" Cut and most of what's been added back fills in the blanks of Boone and Lori's involvement with the Breed. And though it's an improvement, I'd hesitate to call the new cut any more successful than the original. But the Blu-ray is loaded with special features that prove what a labor of love this was for everyone involved, digging deeply into the extensive makeup and prosthetic designs. 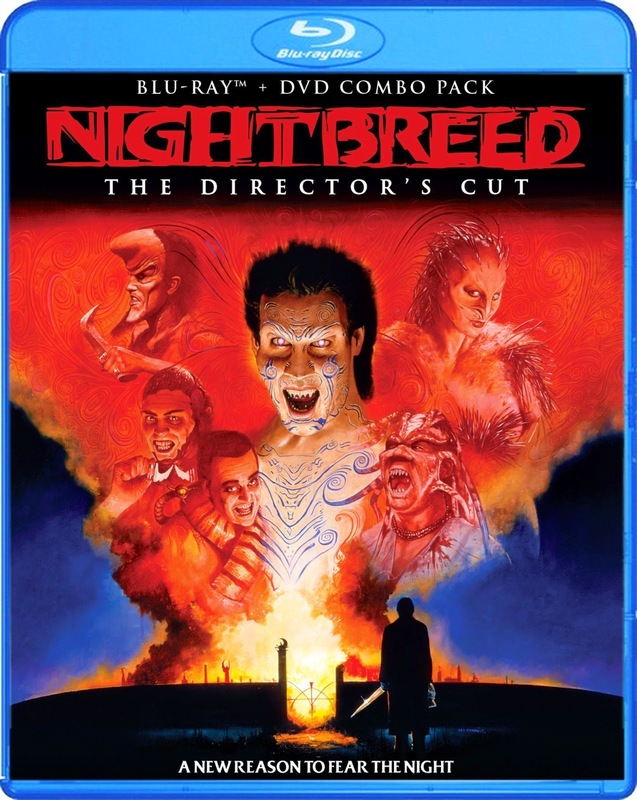 That alone is more than enough reason to purchase Nightbreed: The Director's Cut. 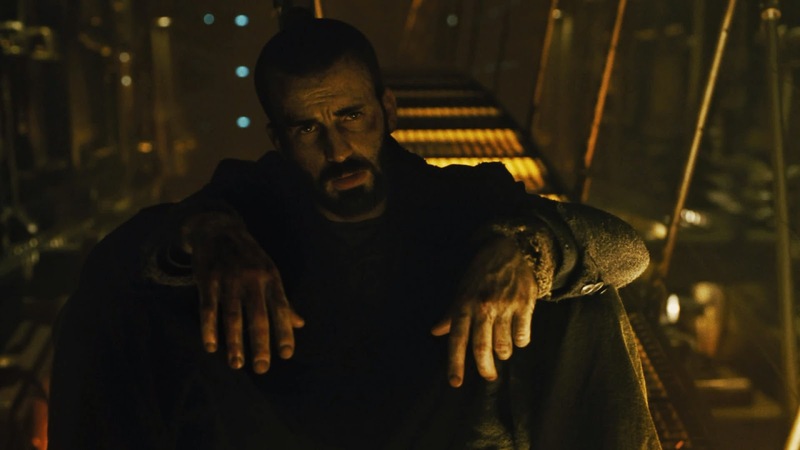 Somehow, despite the Weinstein Company's best efforts to bury this sure-to-be-a-cult-classic in the still fledgling world of VOD, Snowpiercer has emerged as one of this year's finest alternative films. It is an anti-blockbuster mostly because it had little chance to gain the kind of recognition necessary to become a huge moneymaker. But had the proper promotional muscle been put behind it, is there any doubt that a sci-fi action movie starring Captain America himself, Chris Evans, would have made it to the top of the box office heap for at least a couple of weeks this past summer? Evans has ample opportunity to stretch as the reluctant leader of underclass revolutionaries trying to make their way up to the front of a train endlessly circling a dead, frozen Earth in the near future. The further they move up the locomotive, the better the conditions get for the idle rich that populate the imaginative train cars. 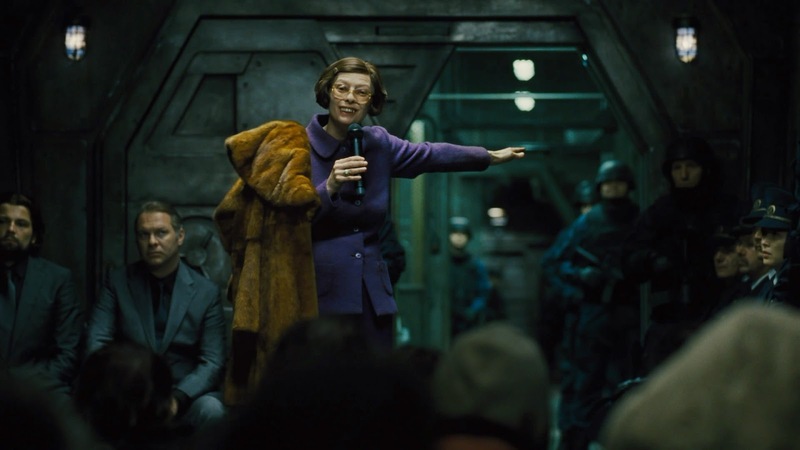 Director Bong Joon-ho fills the cast with a panoply of powerful supporting actors including Jamie Bell, Ewen Bremner, Ed Harris, John Hurt, Octavia Spencer, and Tilda Swinton at her most eccentric. One standout is The Newsroom's Alison Pill as a schoolteacher that personifies the frenetic insanity of the movie's metaphorical commentary. The Blu-ray is packed with informative extras about the movie's origin as a French graphic novel. The one failure among them is an audio commentary featuring a number of online film critics in a discussion led by the annoyingly self-promoting and endlessly digressing Scott Weinberg of Geek Nation. It's nice to hear critics voice their appreciation for Snowpiercer's odd beats. I just wish Weinberg would stop stepping on their observations as he continually tries to insert himself into the conversation. X-Men auteur Bryan Singer returns to the franchise with a sprawling time-travel epic that would be just at home on one of his favorite shows, Star Trek: The Next Generation. What makes this such a worthy effort plays exactly to Singer's strengths. From as far back as The Usual Suspects, Singer's most distinguishing quality as a director has been his ability to accommodate large ensembles. X-Men: Days of Future Past manages to unite the original cast with the younger versions introduced in the reboot, X-Men: First Class, with Hugh Jackman at its center giving as strong and multi-layered a performance as he did in his recent spinoff The Wolverine. The result is an expansive epic that avoids short-changing any of its strong cast. Michael Fassbender, Nicholas Hoult, Jennifer Lawrence and James McAvoy are still the prime movers while the film both finds time to introduce a new villain (played by Game of Thrones' Peter Dinklage) and pay tribute to X-Men's venerable elder statesmen, Ian McKellen and Patrick Stewart. The mutants heroes from a not-too-distant future must send Wolvie back in time to the Nixon era to recruit their younger selves in the cause to fight their oppressors, the robotic Sentinels. With time spent establishing both eras, both casts, and the convoluted rules of time travel X-Men-style, it's gratifying to see even one instance of lyricism in this blockbuster. That moment is connected to the introduction of Quicksilver, Marvel's resident speedster, played here by Evan Peters. Enlisted to help the team break Fassbender's Magneto out from a secret prison cell in the heart of the Pentagon, Quicksilver's speedy solution plays out beautifully in something akin to The Matrix's "bullet-time" while Jim Croce's "Time in a Bottle" plays over the sequence. Like with Snowpiercer, it is the odd tangents Days of Future Past takes that make it a cut above the average superhero sequel. Frank Capra's It Happened One Night is a wonderful romantic comedy that also still serves as the primo template for contemporary rom-coms more than three-quarters of a century later. 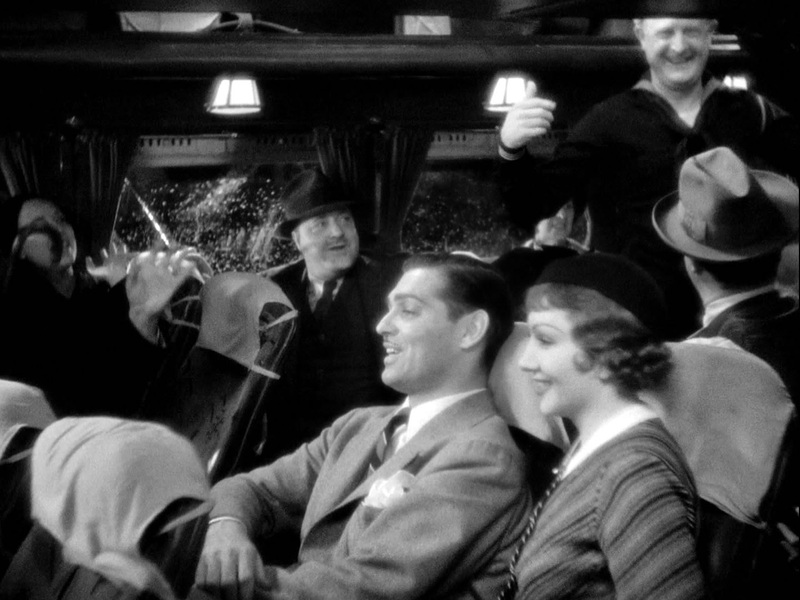 Credit Capra's direction of Clark Gable to a brilliant performance, one which is equally stolid and self-effacing while under the spell of a quite fetching Claudette Colbert in her most notable role. Together the two elevate the thinnest of stories about a runaway heiress falling for a lush reporter into something gloriously stellar; I'm talking in the way that the stars shimmer and twinkle with a silvery light. Anyway, none of that is Criterion's fault. The label still does their usual bang-up job with extras, featuring commentary, interviews and a video essay addressing both Ford and the historical Earp. 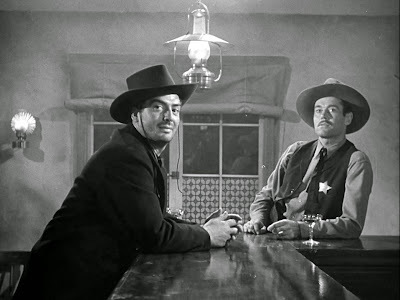 Despite the inclusion of a rarely seen 1916 silent western by Ford, Bandit's Wager, the most impressive add-on is an HD version of Ford's 103-minute pre-release version of the film, which Darryl F. Zanuck re-cut. Apparently he had a problem with the movie, too. 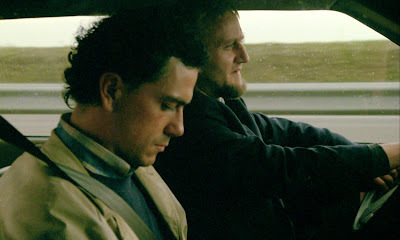 In the 26 years since The Vanishing (Spoorloos) was first released, it has lost none of its chilling power. Much of that resides in its very innocuousness, for there is nothing so frightening as that which one can conceive might happen to anyone, at anytime and anywhere. Here, it is the disappearance of the luminous young Saskia (Johanna ter Steege) while on a road trip with her boyfriend Rex (Gene Bervoets). First we have a few minutes to get to know them. Then director George Sluizer toys with us by having the couple run out of gas in the middle of a long, dark tunnel. He knows that when Rex returns with a gas can the viewer will expect Saskia to be missing as the film's title suggests. But no, she's still there, a little angrier at Rex for abandoning her. It is only when Sluizer has lulled his audience into a secure serenity that he pulls Saskia away from us in the most public of places and in complete daylight. Sluizer then backtracks to introduce us to the kidnapper Raymond (Bernard-Pierre Donnadieu), a circumspect family man whose very ordinariness and precision creeps one out the most. The viewer is allowed to spy on Raymond going through an almost tedious checklist of exercises preparing himself for the crime he seeks to commit. That his victim is chosen at random is terrifying. But even scarier is Rex's inability to move past the event, not because of any residual love for Saskia but simply because he cannot move forward without an answer. The end of The Vanishing is bleak and dark enough to retroactively elevate the callousness of the film's earlier procedural to a higher level of horror. This is a reissue from Criterion, but it includes new interviews with Ter Steege and the late Sluizer. Twilight Time's simultaneous release of Sluizer's American remake only serves to highlight how pale an imitation it is to the original. Most of The Vanishing's faults are related to the introduction of a new character, a plucky truck-stop waitress given appealing life by the underrated Nancy Travis. The problem is believing that any new girlfriend, codependent or not, would put up with Jeff (Kiefer Sutherland) and his obsession with the disappearance of his former love, Diane (Sandra Bullock in an early role). In every way that the original film's abductor was cautious and reptilian in his intelligence, this movie's version, Barney (Jeff Bridges) is reactive and dumb. And Bridges' choice to give Barney a bizarre accent flies against the idea that the abductor is indistinguishable from anyone else and hiding in plain sight. 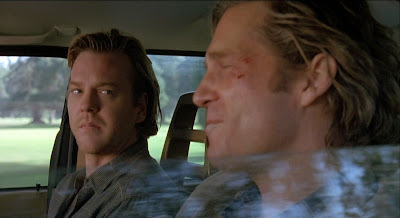 The fact that Barney would even think of preying on Jeff late in the film even though he knows that Rita is still very much up on Jeff's activities completely undermines what made Sluizer's first version such a masterpiece, its killer's meticulous rigor. On the good side, Sutherland is much better at communicating desperation than the previous version's wooden star. 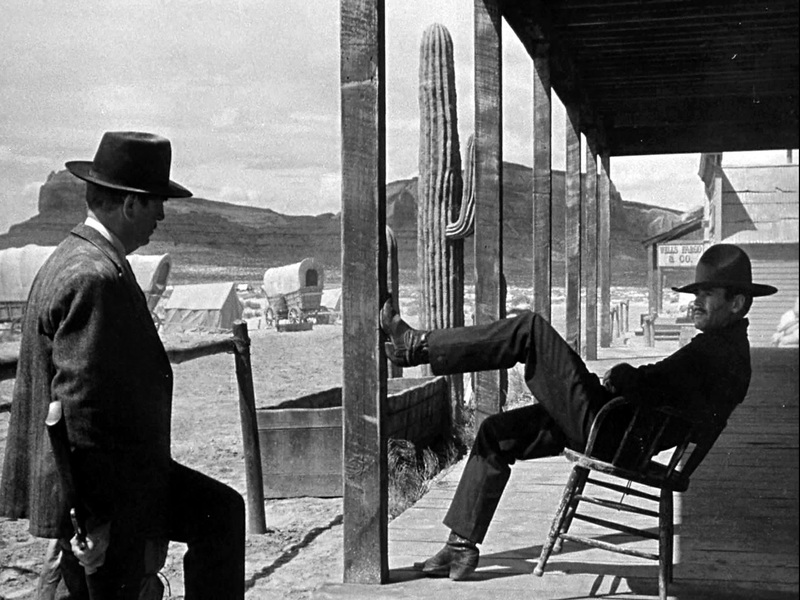 DP Peter Suschitzky has some glorious locations to work with; the movie was shot in and around Seattle so you might recognize a few vistas from Twin Peaks. And Twilight Time's release has an isolated track featuring a thrilling Hitchcockian score by Jerry Goldsmith.